Garrett Pro Pointer AT Vs Pro Pointer II – Which is the Better Pinpointer? 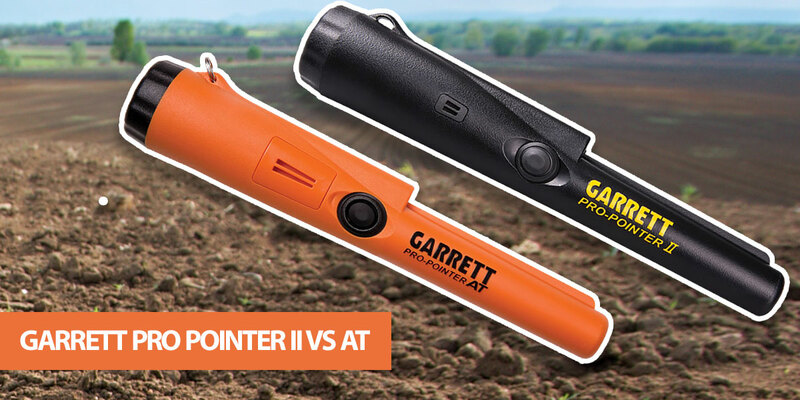 Are you buying a pinpointer but can’t decide between the Garrett Pro Pointer AT and Pro Pointer II? In this article, I’ve compared the two models to help you make the right choice for your requirements. A high-quality pinpointer is an essential tool in any detectorists toolkit. They are relatively simple devices, but can save you plenty of time out in the field. 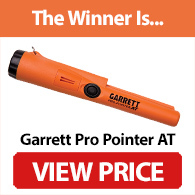 One of the most popular pinpointers is Garrett's Pro Pointer series. The original model has been discontinued, but the Pro Pointer II and Pro Pointer AT are currently in production. Both the AT and II are popular options that provide excellent performance. What are the main differences between them though? And which should you buy? Keep reading to find out. Of course, the color scheme is far from the most important difference - although the AT is certainly harder to lose when hunting. Here’s an overview of how each model compares. Note: The Pro Pointer II looks very similar to the original Pro Pointer. Don’t let that fool you though, the II has been significantly updated to fix problems such as moisture damage. The Pro Pointer II has an increased sensitivity compared to the original Pro Pointer - but the AT beats them both. If you want the most sensitive pinpointer, choose the AT over the II. Aside from its greater sensitivity, the Pro Pointer AT has several extra features. There are three sensitivity modes, for example, along with a "Stealth" mode. Are these extra settings needed though? In most cases, a pinpointer has one task: to locate a target after you’ve dug a hole. There are various ways to achieve this, but complexity is often not a good thing when it comes to a pinpointer. There are situations when having adjustable sensitivity can be useful though. The highest setting is great for locating a target with maximum accuracy, while the lower sensitivity modes are recommended for highly mineralized ground. You can also ignore the various sensitivity modes if you wish, so there aren’t many downsides to having the feature available. You never know when you might need it. Both the Pro Pointer II and Pro Pointer AT can quickly retune. This allows them to ignore saltwater or mineralized ground, while allowing you to get a more accurate location for your target. To retune the Pro Pointer II, you need to turn the power off and on while holding the tip close to the soil or sand. This forces the pinpointer to tune itself to the problematic ground conditions. Retuning is faster with the AT, as you can just press the primary button to instantly retune to the current environment. This feature can be used to shrink the detection field, tune out mineralization or even gauge the distance of the target. For this reason, the AT is the winner when it comes to retuning. Garrett has a reputation for manufacturing metal detectors that are simple and intuitive to use (see here for more info about this brand). The Pro Pointer range is no exception. When a target is detected, both the II and AT produce both audio and vibration alerts. The faster the pulsing, the closer the pinpointer is to the target. The Pro Pointer II has a single button for switching the device on or off. There are no other settings or adjustments, so this is the only button required. While this simplicity is welcome in a pinpointer, there are also some useful features lacking from the II. Aside from no adjustable sensitivity, there’s also no “vibration-only” mode. Despite having more features, the AT also uses a single-button operation. This is used for power, sensitivity adjustment, “Stealth” mode and retuning. If you’re confused about how this works, it’s actually quite straightforward. Adjustment mode is entered by holding the button for two seconds, which triggers a single beep followed by a dual-tone beep. You then cycle through modes by pressing the button. There are six modes depending on the sensitivity level and type of alert you want. The default is medium sensitivity with both audio and vibration, but you can also select low or high sensitivity, along with modes that only provide vibration alerts. I like how easy the button is to press when you’re wearing gloves, as there’s nothing more frustrating than fiddling with your pinpointer just to get it working. This is especially important if you’re going to be changing modes in the field. There are some drawbacks to this one button design though. It’s easy to hold the button for too long and trigger the adjustment mode without intending - especially when you’re trying to turn it off. The device also isn’t as intuitive to use as it would be with separate buttons for each setting - although this isn’t an issue once you’ve learned the features. On a side note, all Garrett Pro Pointers automatically tune themselves when switched on, so you should always turn them off after each plug. One of the biggest differences between these models is that the AT is fully waterproof up to 10 feet. The Pro Pointer II is only “splashproof” – it’s not submersible. The benefits for underwater hunting are obvious. So, if you’re planning to hunt in rivers, creeks or even shallow saltwater hunting, the AT is the clear choice. Even if you’re only planning to hunt on land, however, having a waterproof design is an advantage. You never know when the pinpointer could be accidentally dropped in a puddle! It’s also great to not need to worry if you get caught in heavy rain. Lost Alarm – The AT and II both have a lost alarm feature. This is triggered after five minutes of being left on without a button press. Both pinpointers switch off after 60 minutes of warnings. Battery Life – The AT and II both have the same battery life. This varies depending on the type of cell used, but you can get up to 30 hours when using an alkaline battery. Ruler – The AT has a ruler with cm/inch markings. This isn’t included with the Pro Pointer II. While the ruler isn’t a deciding factor when choosing a pinpointer, it can be a useful feature for judging target depth. Scraping Blade - Both models have Garrett’s patented scraping blade. While you may not use this too often, it can be handy for speeding up searching. I don’t recommend using your pinpointer for digging though! The Pro Pointer AT is more expensive than the II - but only by around $20 (depending on current prices and where you buy from). Considering the added waterproof design, extra sensitivity modes, “Stealth” vibration-only feature and ruler, I think the AT easily justifies the small extra cost. Both detectors provide great performance for the price, but the AT is a step ahead when it comes to value for money. In my opinion, the Garrett Pro Pointer AT is a significant upgrade to the II. It’s more expensive, but is worth buying for the waterproof casing alone. The improved sensitivity also makes it a joy to use in the field. With that said, the Pro Pointer II is still an excellent device. Its biggest advantage is simplicity, so if you don’t need the waterproof feature and won’t use the adjustable sensitivity, it won’t let you down. The Pro Pointer II may also be a better option for children, as its simple design means they can’t accidentally activate the adjustment mode. For most detectorists, the Pro Pointer AT is the better choice though. Even if you don’t plan to use the extra features straight away, for an extra $20 you’re getting a much more well-rounded pinpointer.